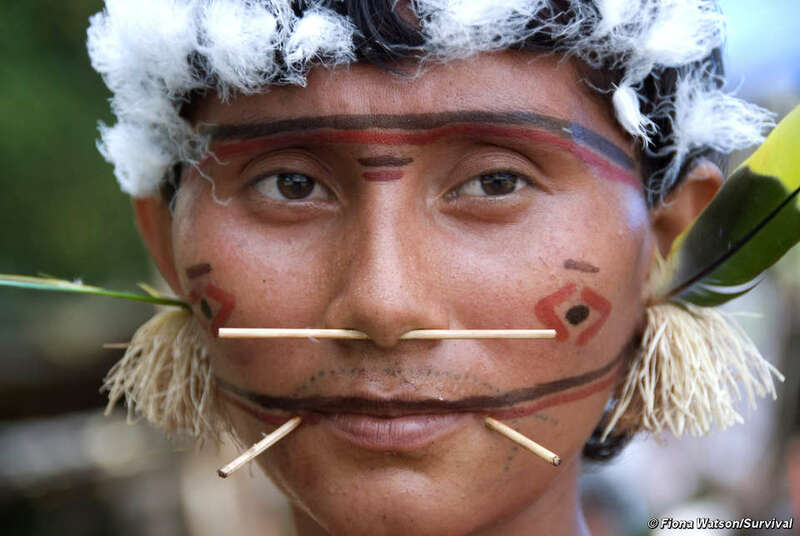 Tribal peoples have the right to choose the life they want to live, but many governments – with notions of tribes as ‘backwards’ – demand that they change and ‘fit in with the mainstream’ society. Assimilation policies have been disastrous for many tribes: they lose their independence, self-sufficiency and – all too often – their health. Attempts by the Canadian government to assimilate tribes such as the Innu have devastated communities. Children were sent to residential schools where they were made to feel ashamed of their culture and which cut them off from their traditions. Rates of substance abuse and suicide soar among young people in tribes that have been forced to assimilate. UNICEF has reported that the strain put on tribal communities when governments try to make them ‘homogenize and assimilate’ leads directly to suffering of tribal children . Assimilation policies effectively lead to the extinction of peoples, languages and cultures. On paper, most governments have rejected assimilation by signing the UN Declaration on the rights of indigenous peoples. Forcing tribal peoples to integrate was, in colonial times, common policy. The first international agreement on tribal peoples has since become an embarrassment due to its assimilation focus. It has been replaced by ILO Convention 169 – the strongest international law for tribal peoples – but many countries have not yet signed. The UN Declaration on Indigenous Peoples, which most states support, states that ‘indigenous peoples and individuals have the right not to be subjected to forced assimilation or destruction of their culture’. Yet in some states that voted for the Declaration, such as India, tribal peoples are still pushed to join ‘the mainstream’ – this must change. One thing that these policies often destroy is the pride that tribal people have in themselves, their way of life and their land. Tribal people, living on their own land, are thriving all over the world. They know what they need and want and their choices must be heard and respected.